Hey guys! 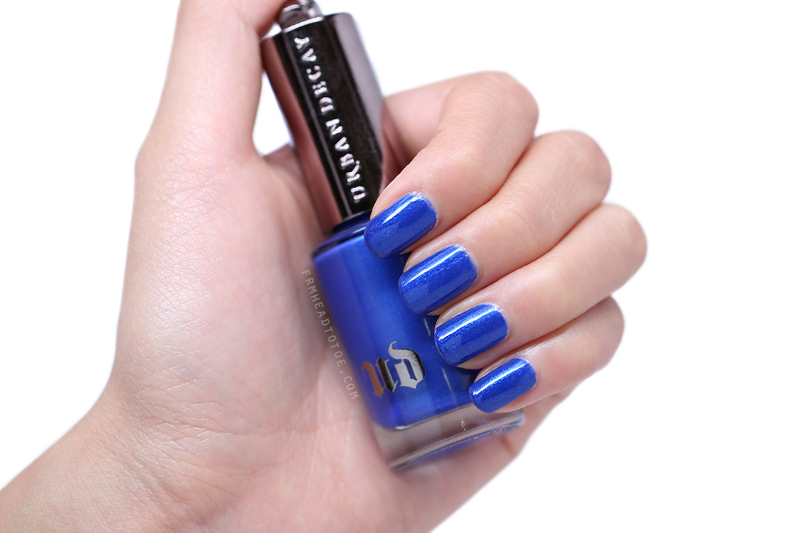 Today I wanted to share with you this punchy cobalt blue that is the counterpart of Urban Decay's spring nail polish offering that I previously reviewed. Taking a departure from the pastels I've been so into lately, I wanted to switch things up with an edgy polish and Chaos seemed like the perfect fit! I was inspired to grab this polish after seeing bright blue nails on a few other girls lately. For me it ignites the fuzzy nostalgia of being a tween in the 90's, rocking Hard Candy and original Urban Decay blues and purples while making homemade friendship bracelets and jumping on backyard trampolines. Since flannel, ripped jeans, and overalls are coming back in style it's only appropriate that this shade of blue should too. Here I applied a base of OPI Nail Envy, 2 breezy coats of Chaos, and topped it with Seche Vite. Can I just say that I'm sincerely impressed with the quality of this and Bang compared to the Fall releases? They applied smoother and both had impressive wear without chips and I personally find the colors more flattering as well. I'm normally a serial 3-coater but this one applied beautifully in 2 which is impressive. Overall, I'm loving the beautiful finish and rich blue shimmery color of this polish. Definitely a recommended nail color! 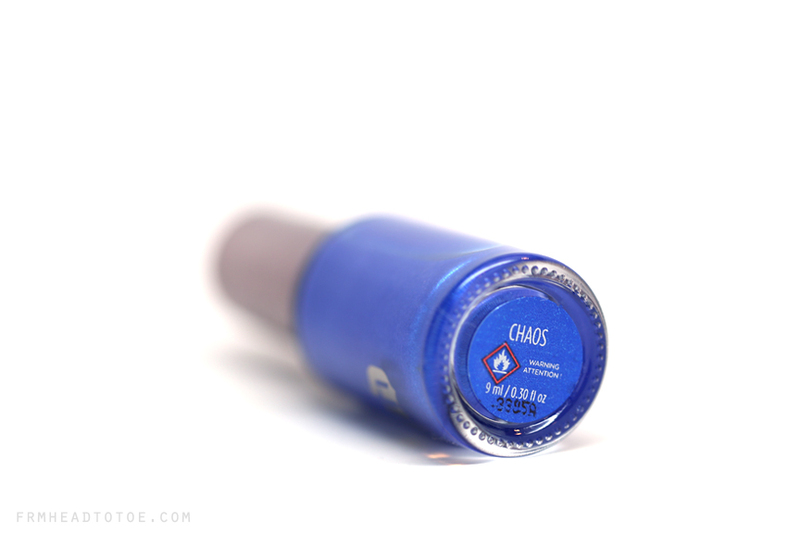 If you are interested, you can pick up Chaos online for $15 at Macy's and you can find previous UD Nail Color collections at Sephora, Ulta, and Beauty.com. Readers, do you wear blue polish? What polish color has the most nostalgia for you? Let me know in the comments below! Really pretty! It looks like Nails Inc Baker Street but with shimmers! Love this color. It's perfect for summer! There something about an intense blue that just brightens my day! !